In MotoGP's 2019 rookie class, there is an odd man out. It's not the Moto2 points leader or his nearest rival, neither is it the current Moto3 champion. 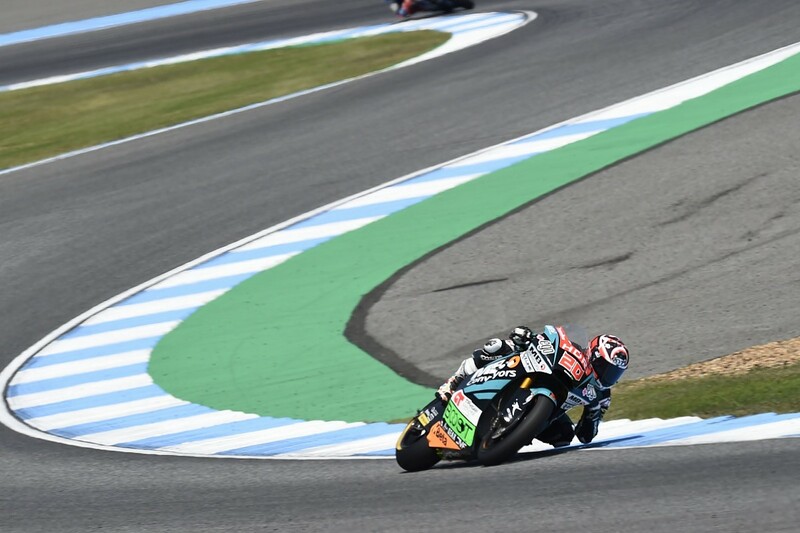 In a new crop of riders including Ducati-contracted future Pramac rider Pecco Bagnaia, Tech3 KTM recruit Miguel Oliveira, Suzuki's latest Spanish prodigy Joan Mir, it's Fabio Quartararo who stands out. Eyebrows were raised as Quartararo first emerged as a left-field contender for a ride at the new Sepang International Circuit-run Yamaha satellite team, that had seemed destined to be taken by the thoroughbreds Jorge Lorenzo, and then Dani Pedrosa. There was more surprise when the left-field contender became favourite, sealing the deal despite his main rival for the ride, the experienced Alvaro Bautista, hitting strong form in MotoGP. Comparing a youngster to MotoGP veterans may not be particularly insightful, but few would've pegged Quartararo as the obvious rookie option. 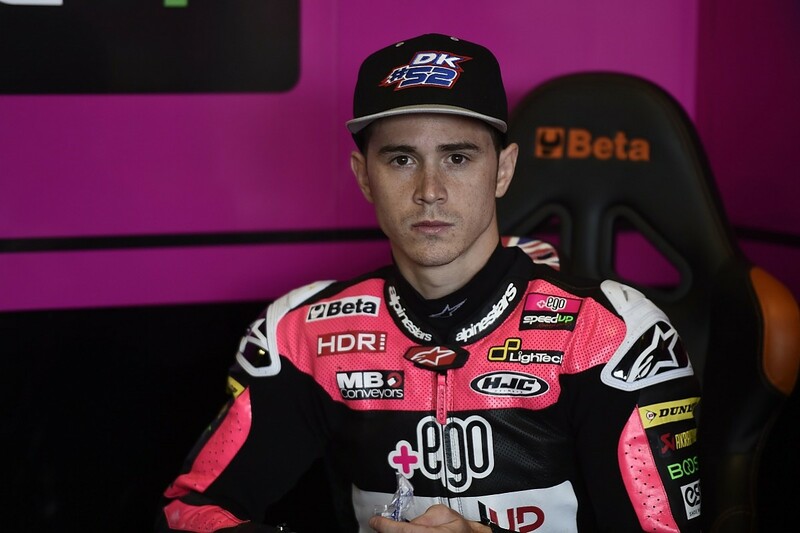 Lorenzo Baldassarri - fourth to Quartararo's ninth in the current Moto2 standings - was also linked to the ride, and even Quartararo's most ardent supporters are bound to concede he does not have a CV that matches that of his three fellow 2019 rookies in Bagnaia, Oliveira and Mir. But roll the clock back a little over three years, name this exact quartet of up-and-comers, and Quartararo would be the one with the best odds of making it to the premier class - by a large, large margin. 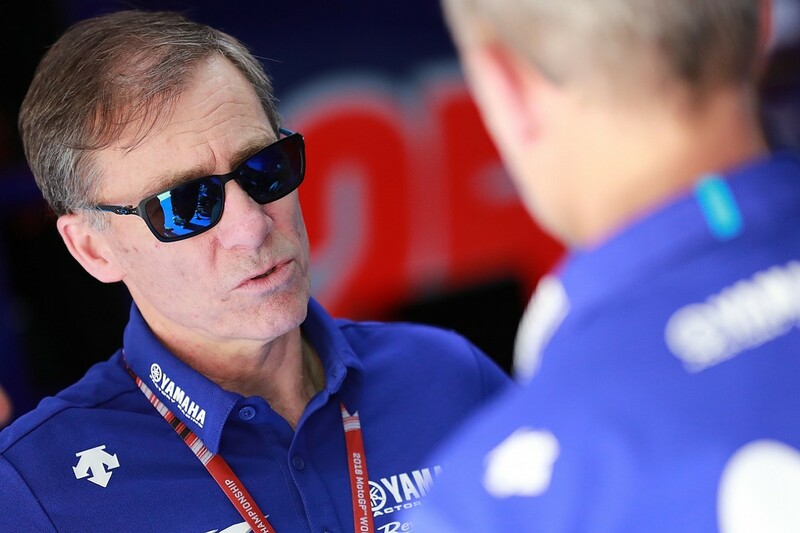 Yamaha MotoGP boss Lin Jarvis let slip at the Red Bull Ring that SIC had chosen Franco Morbidelli and Quartararo as its riders, and described the Frenchman as somebody who was "definitely talented" but "lost his way perhaps for a year or two". Neither of those statements were up for much debate. So obvious was Quartararo's talent that he was billed as 'the next Marc Marquez' before he even turned a lap as a grand prix rider, having won back-to-back titles in the Spanish CEV Moto3 category before turning 16. 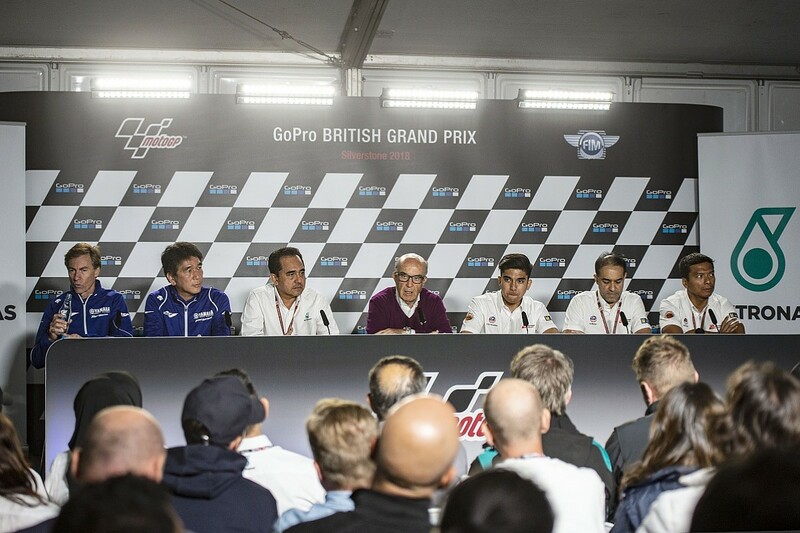 During the second of those two campaigns - an outrageous season, with nine wins and two second-place finishes in 11 races - the Grand Prix Commission even introduced what became informally known as the 'Quartararo rule', allowing him to take the start of next year's Moto3 season as CEV champion despite his youth. Quartararo began to justify the decision right away. Riding for the Estrella Galicia Honda team - backed by Marquez's manager Emilio Alzamora - he topped pre-season testing at Jerez, was on the podium in the second race, was on pole for the fourth race and then again for the fifth. It looked like the floodgates were just about to open, but instead his form - save for a near-win at Assen - fizzled out badly. Then he fractured his ankle at Misano, and the season was virtually over. The worst was yet to come - the year after, Quartararo split with Alzamora and switched to the Leopard KTM team. 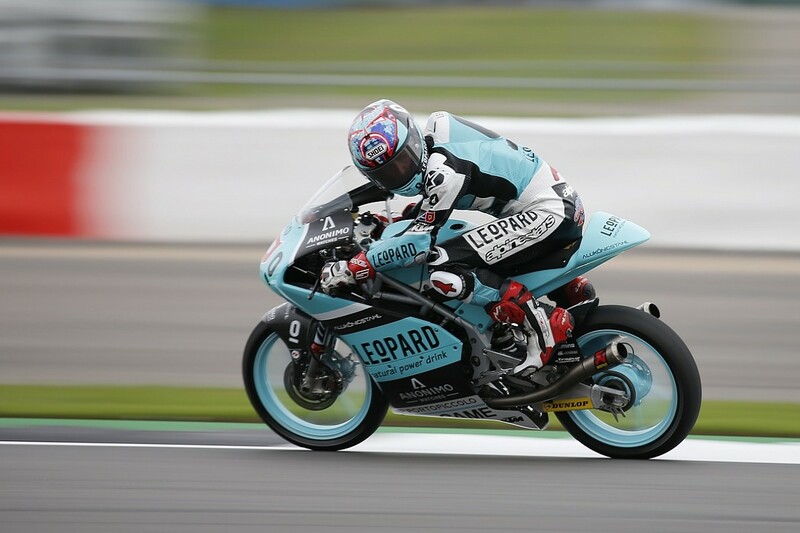 Although it was a somewhat different operation compared to the Leopard outfit that took Danny Kent to the title the year before, Quartararo entered the campaign as title favourite. He was then overshadowed completely at the team - not only by rookie sensation Mir, but also by the less-fancied Andrea Locatelli. Despite this, the year after Quartararo was fast-tracked to Moto2 with Pons, where he did not make much of an impact. By the end of 2017, his status as grand prix racing's hottest young property was long forgotten, and a swift graduation to MotoGP was unthinkable. Reflecting on that rough patch after he was announced as a SIC Yamaha rider, Quartararo said: "It's true I lost my way a little bit, because [they] were difficult years, two really bad seasons. "But I think I got some great experience for my career that I can use for next year, so I'm quite happy about this situation, because next year will be tough for sure, and I learned many things. "I'm young, but I learned many things in the past." He certainly timed his resurgence well. By 2018, the Frenchman was already on a Speed Up Moto2 bike that had gone winless since '15, and his initial results did not suggest a major breakthrough. But just as next year's MotoGP 2019 grid began to take shape, he won from pole in Barcelona and finished second next time out at Assen - where talks are believed to have commenced over taking him to the premier class. Taken at face value, SIC's decision to sign Quartararo is the most pronounced effect of MotoGP's ever-bizarre self-imposed early-year transfer window. It looks a move akin to a multi-million bid for a striker who broke a year-long goalless spell with a sudden hat-trick. As the back-up option for Lorenzo and Pedrosa, Quartararo makes little sense. As for the best available Moto2 candidate, he just isn't. Not with Baldassarri or Alex Marquez available, even if the latter's family connections make Yamaha turn its nose. "I think it is not the correct step, but in any case this is the situation. I don't choose the rider who races in MotoGP but for me, in the past it was more correct, to go to the next category after you win or after you fight for the championship." There were suggestions that Quartararo's deal was motivated by commercial interests - such as Dorna's keenness to add a second French rider, rather than have yet another Spaniard or Italian. At the same time, it's also been claimed that it was Yamaha that pushed for Quartararo's candidacy for purely sporting reasons. "He has talent. He's young and I think there's no pressure on him," Jarvis said of Quartararo. "I think if you're in the right structure and on the right bike, you have talent and a good working mentality, you can achieve things, and I see no reason why Fabio can't do that." Similarly, future team-mate Morbidelli backed Quartararo's ability. "He's still very young, but he's a great rider," Morbidelli said. "He had a couple of bad years, I think there are people believing in him a lot and I think they are right, because he has showed he has really good talent." A big part of Yamaha's and Morbidelli's faith will still be that initial one-two punch of CEV Moto3 titles and his explosive arrival on the Moto3 scene. This will have given Quartararo credit for years and years to come, but as the Frenchman himself admits now it also left him under "pressure". Ultimately, he has flopped under that - but a more detailed look at his results suggests he did not tail off dramatically, but rather kept treading water and simply failed to match sky-high expectations. A look at the data comparing Quartararo to his team-mates suggests, counter-intuitively, that the only time he was fully outperformed by his partner was during his promising debut in 2015, in which he went up against fellow rookie and former CEV Moto3 rival Jorge Navarro. This is misleading, too, as Quartararo's numbers are dragged down by his momentum-killing ankle injury at Misano and subsequent attempts to return when clearly not fully fit. While his initial form began to tail off even before the San Marino round, at that point he'd still been virtually level with Navarro in terms of qualifying record - and 20 points ahead in the championship. At Leopard in his sophomore campaign, Quartararo simply failed to gel with the KTM machine, and thus ended the year as the only Leopard rider not to make the podium. He wasn't completely outclassed - in fact, he was over one lap faster than Mir and clearly faster than Locatelli. But that counts for virtually nothing for Moto3 results. Quartararo was seventh on his Moto2 debut, but only bettered that once over the rest of the 2017 campaign. 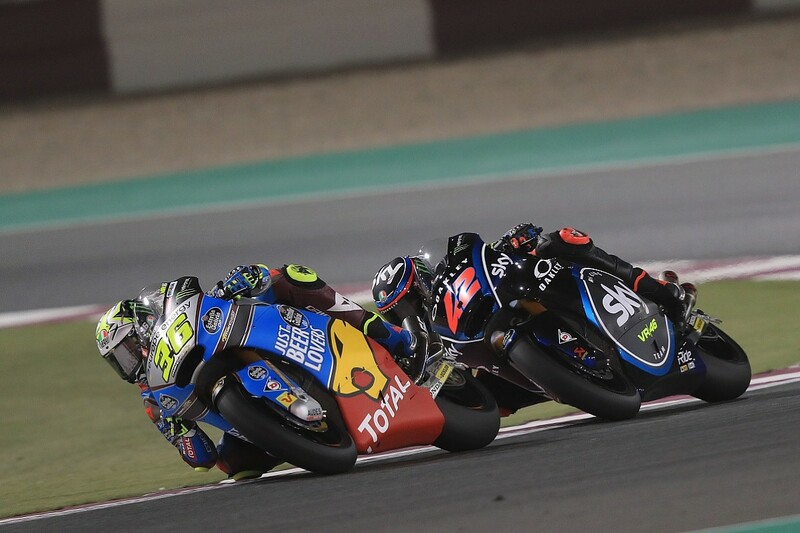 Given his Pons team's uninterrupted earlier success with the likes of Pol Espargaro, Tito Rabat, Maverick Vinales and Alex Rins, Quartararo's rookie season wasn't much to write home about. This year risked being more of the same - Quartararo now on a Speed Up bike that had only intermittent success in a category dominated by Kalexes and now KTMs - but then something clicked, and since winning at Barcelona he has been reliably towards the sharp end, if not quite out front. Quartararo is not a safe choice for SIC Yamaha, but if he's starting to deliver on his potential and if he can be even half the rider everyone thought he would be, he is a gamble worth taking. He is the ultimate high-risk high-reward move in that his ceiling of ability is almost certainly higher than that of any other Moto2 free agents. And while a Morbidelli/Bautista team would almost certainly have scored more points, having the former in a so-called 'A-spec' near-factory bike virtually ensures SIC Yamaha won't flounder even if Quartararo does. The pressure on him to deliver will be mitigated by the fact Yamaha expects him to take his time learning the ropes, having handed him different equipment to Morbidelli - 'B-spec', which entails having basically the same bike "as the factory spec at the end of this year". "For Fabio, to have the B-spec bike is the right bike, because Fabio doesn't need all the latest developments and technology right now," Jarvis explains. "He needs to run a good season to learn and to make progress himself." It's an assessment Quartararo himself agrees with: "First we need to learn everything on the bike; the electronics, the brakes, all the things that change from Moto2 to MotoGP." He also adds that the Yamaha bike is easier for a rookie to ride. And in this regard it is crucial that, for all the grief it's brought to factory riders Vinales and Rossi as of late, the Yamaha YZR-M1 remains a more user-friendly and welcoming package than most on the grid. Its recent track record with rookies is great - it was key to Johann Zarco's emergence as a MotoGP star, it allowed Jonas Folger to shine in the premier class before he was sidelined by illness, and it afforded a smooth MotoGP transition for Folger's late-notice replacement Hafizh Syahrin. As it stands, the SIC Yamaha package represents a perfect platform for Quartararo to build his reputation anew, to start from a clean slate after not fulfilling his potential in Moto3 and Moto2. At the same time, it is those very Moto3 and Moto2 travails that allow Quartararo to head into MotoGP somewhat under the radar. It's in stark contrast to his initial arrival, when Quartararo was seen as the next big thing - not only a shoo-in for a Moto3 title bid but, for some, the biggest long-term threat to Marc Marquez's MotoGP dominance. These days any such talk is a relic of the past. Asked about Quartararo's one-time status as the next Marquez, Jarvis said bluntly: "There are occasional riders that come along that have something truly different than others. 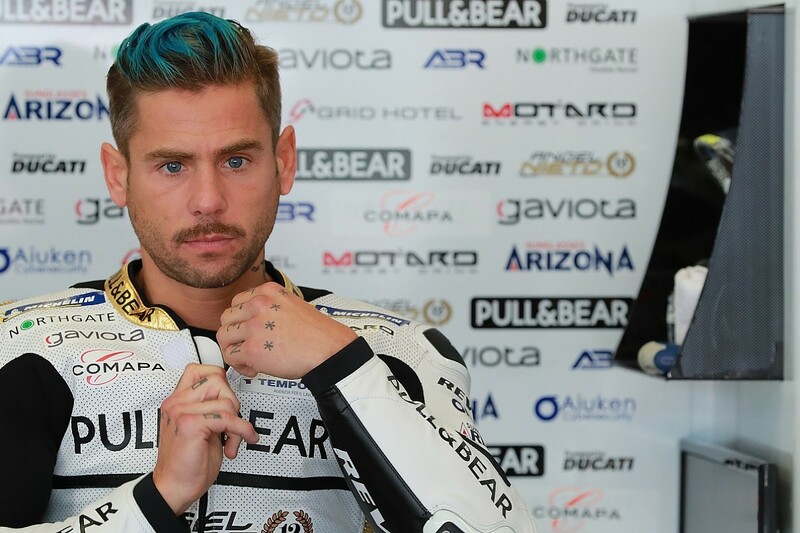 So I wouldn't classify him [Quartararo] in that league. Could he become as good as them in the future? Who knows? No idea." Memories in racing are short, and if Quartararo gets to grips with the M1 bike as quickly as his predecessors have, tongues will start wagging again - and some will be getting carried away. If that happens and the spotlight is cast back on him, only then are we likely to find out just how much improved this Quartararo is compared to the young rider who lost his way in 2015.